I have got a path that encloses small areas within it. I would like to fill each small square below with some color using the bucket fill tool in Inkscape. However, it always tells me the "area is not bounded" and I can't figure out how to fix that. You could duplicate the figure (for security) and then use in the path menu, third section, second command. I'm using a german version, where it is zerlegen, from the comments I was informed it is break apart as english entry, hotkey Shift-Ctrl-K.
Then you should be able to select a color for the inner parts. Not the answer you're looking for? Browse other questions tagged inkscape stroke fill or ask your own question. 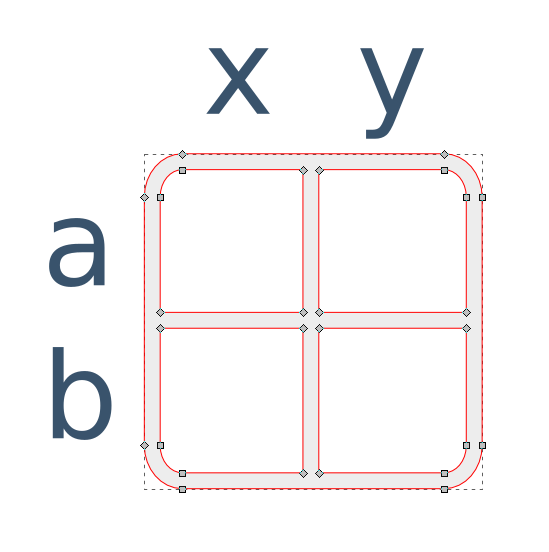 Adjusting stroke width for square and rectangle tool in Inkscape? How can I create a shape based on contiguous color area in Inkscape?